The memories of the older women I observed as a child at Riverview Church are etched indelibly in my mind. This church, built by the sweat and labor of my grandmother and grandfather, was the seedbed of my contemplative life. That church was sacred ground defended and held by these warrior women of faith. Their work-creased hands, sculpted by caring and cotton picking, offered bits of peppermint candy out of the corners of secondhand purses. Their backs were made strong by stooping and picking up the pieces of broken men shattered by a world antagonistic to their very being. These women were fierce. While denied access to adequate education, these women held depth. Their very presence functioned as midwifery to my faith. As they held vigil over their own sorrows during worship they would coax and wheedle the sacred, which was buried within me, to the surface. And these women moaned as the Holy Spirit moaned and as the earth moaned. They sang from a place as deep as the bowels of slave ships and yet from such a thin space you could swear you saw a glimpse of heaven and earth becoming one. And as the preacher preached and as holy words were proclaimed they would say, “Yeeeeeesssssss!” This was different than a typical exclamation of, “Amen!” This was not just some throw away, “Hallelujah!” This was a profoundly felt and richly stated, “Yeeeeeesssssss!” And their “Yeeeeeesssssss!” may be the solution to many, if not all of the problems our world faces today, because their “Yeeeeeesssssss!” is so vastly different from the dangerous “yes” of our day. So often our “yes” is the reactionary “yes” to obligations we never really bought into. Sometimes we say yes and agree to do things we don’t have time to do only to gain approval from people we don’t even like. The dangerous “yes” of our day is a “yes” to exploitation of the other due to the false vow we make in our heart that we live in a world of lack, want, and scarcity. The “yes” we say from a place of assumed deficiency affirms our willingness to horde resources, turn a blind eye to systemic disparity, and find comfort in our apathy for the other. Yet all the while Jesus invites us to see a world that can feed a multitude with a few loaves and fish. Jesus bursts on the scene turning our eyes from scarcity to living life, and living it to the full. Sure there are the benign “yeses” of our day. The “yes” we say to meals with loved ones, the “yes” to walks with four-legged friends, the “yes” to coffee breaks and “yes” to social media likes of smiling babies and silly memes. All of these “yeses” are good and are the stuff of life lived. But so many of the “yeses” we use as common currency purchase for us all hardships when they are spent on agreeing to exploitation, estrangement, and indifference. But if we look into the depths of our being there is the “Yeeeeeesssssss” within us all. In the recesses of our heart where our spirit and the Spirit of the Divine keep company with one another is our “Yeeeeeesssssss” of sacred consent. This is the place where your heart says “yes” to eternity. There is in the deepest place of your heart a space where you offer consent to all of God’s invitation. This is the place where we say “yes” to God’s invitation to intimacy. This sacred place within is where we say “yes” to God’s invitation to be transformed in the likeness of Christ. This is a likeness characterized by grace, joy, forgiveness, and vast pools of compassion — all of which is willing to be spread thick and wide and indiscriminately over all. In times of silence, stillness, meditation and keeping company with God, God is faithful to reveal this glorious area of our sacred consent. Our job is to familiarize ourselves with this place of sacred consent. And once we are familiar with this space, we must stand up with in this interior place and practice living from our sacred consent. I’m convinced this is what these women were attesting to so many years ago in that shack of a church building. 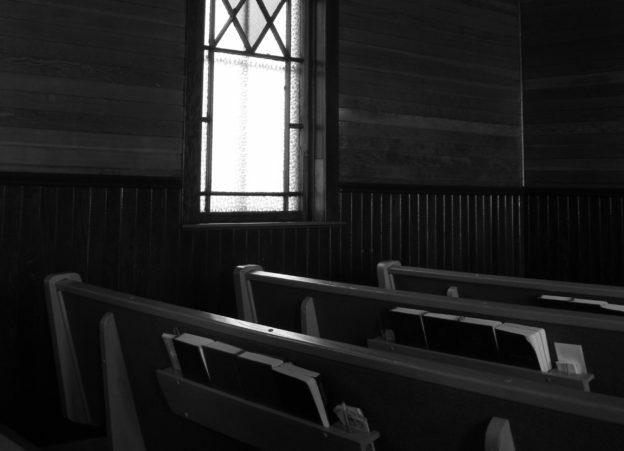 As the rough-hewn pews creaked under the weight of the lives they carried, these women offered shouts from the place of their sacred consent. While they knew the pain of loving too hard and working fingers to the bone, they also knew there was a place inside themselves where they and their God met. And anytime a passage was read or a song sung or a thought offered that happened to brush up against that place in their heart, they had no choice but to offer to us all a resounding, “Yeeeeeesssssss!” And I’ve spent the better part of my life now trying to find mine. When I do, I pray my “Yeeeeeesssssss!” brings as much light in this world as their “Yeeeeeesssssss!” did mine. Eric Wilson serves as the Associate Chaplain at Pepperdine University in Malibu California. Wilson is a certified Spiritual Director, Executive Coach and is a religion blogger for the HuffPost. He is an award winning playwright and theatrical director. 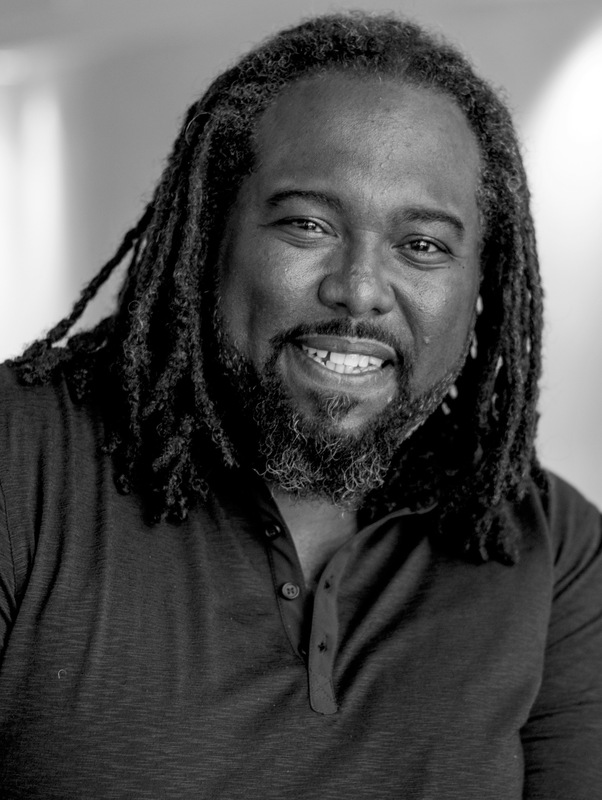 His work has been published and performed around the country including the John F. Kennedy Center in Washington D.C. Eric’s work attempts to leverage contemplative practice, the arts, and soul care for the purpose of fostering social justice in the world. Wilson’s book, Faith the First Seven Lessons was released Fall of 2016. This post originally appeared on HuffPost in February 2016. This entry was posted in Contemplative Activism, Reflect and tagged consent, contemplativeactivism, contemplativespirituality, heart, sacred, Silence, solitude, stillness, yes on August 3, 2017 by Melanie Kim.